Here, we’re taking you through some Wedding Arbour location favourites. 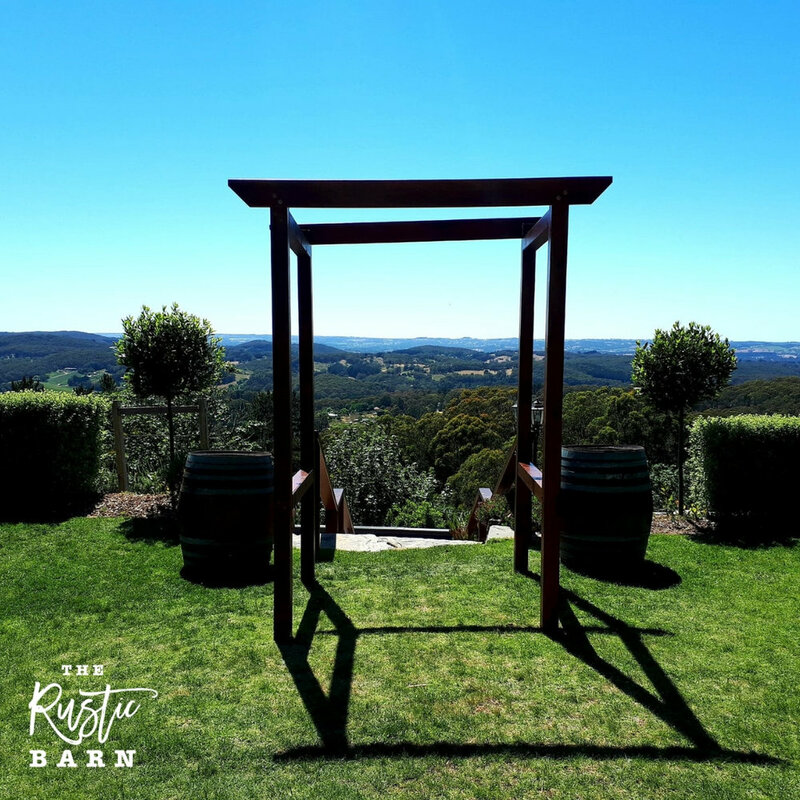 Our favourite wedding arbour with a view is from Mt Lofty House, followed closely by Eden Valley Lookout. 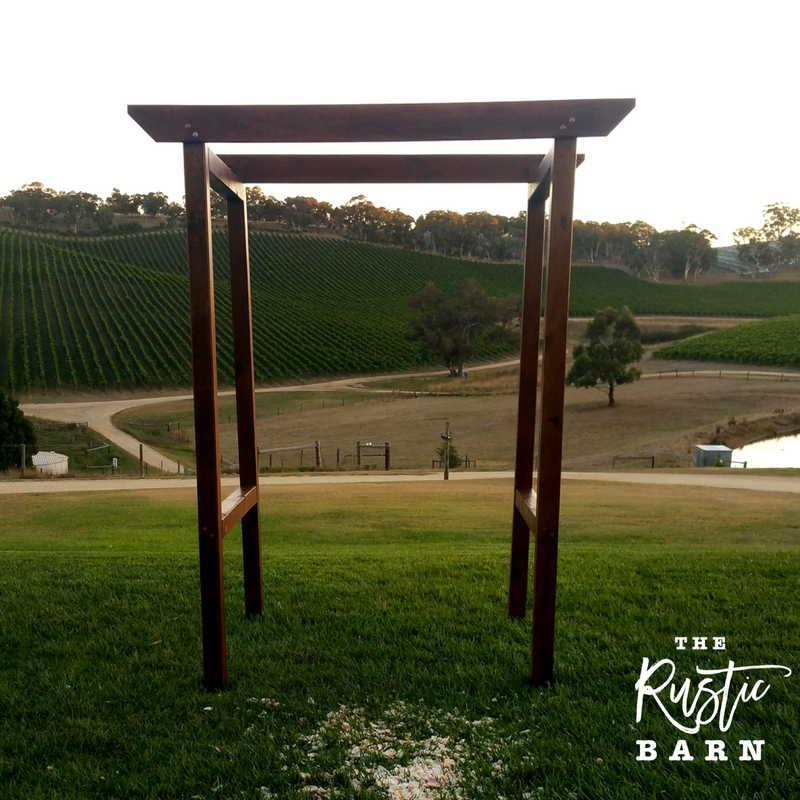 REAL WEDDING - The Rustic Barn four-post Wedding Arbour at Mt Lofty House. REAL WEDDING - The Rustic Barn four-post Wedding Arbour at Eden Valley Lookout. Our favourite wedding arbour on lawn is Marybank Farm, followed closely by Paxton Winery. REAL WEDDING - The Rustic Barn four-post Wedding Arbour at Marybank Farm. REAL WEDDING - The Rustic Barn four-post Wedding Arbour at Paxton Winery. Our favourite indoor wedding arbour is Lobethal Lutheran Church, followed closely by Adelaide Town Hall. 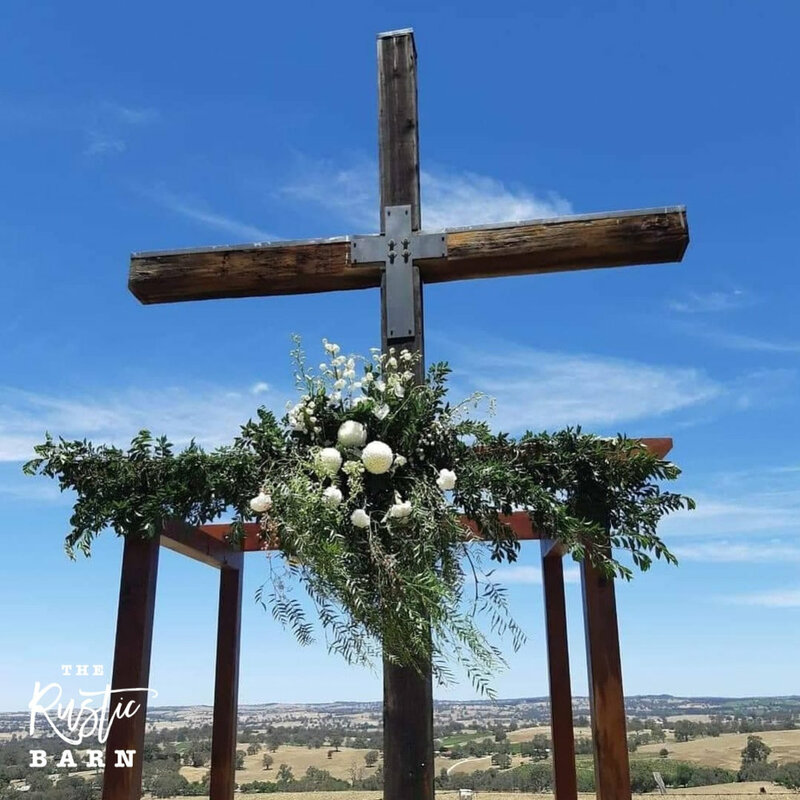 REAL WEDDING - The Rustic Barn two-post Wedding Arbour in Lobethal Lutheran Church. 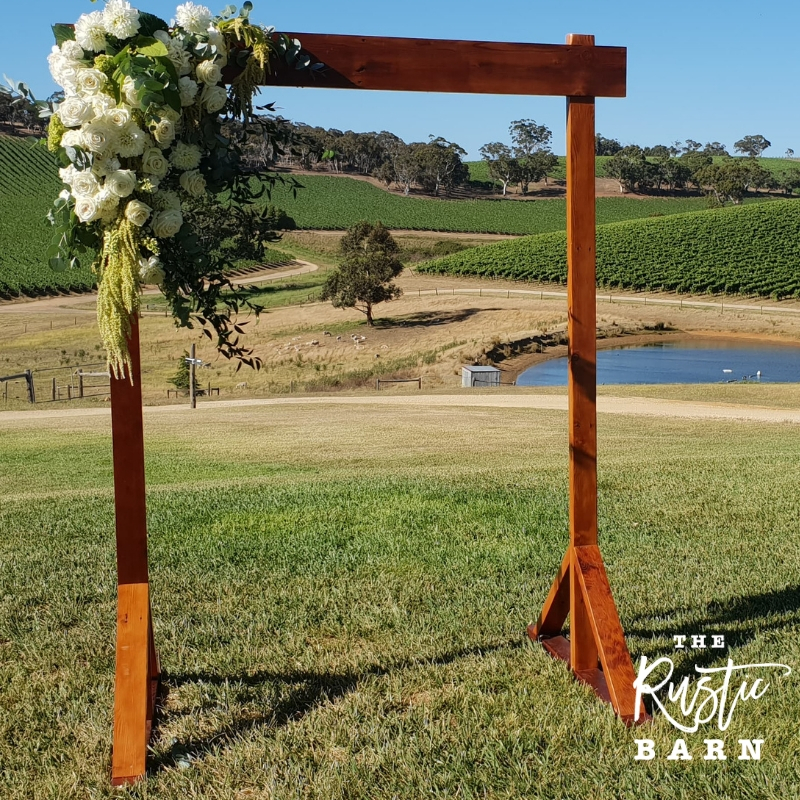 Our favourite wedding arbour near a pond, is hands-down Glen Ewin Estate, followed by a stunning private garden in Angaston, Barossa Valley. REAL WEDDING - The Rustic Barn four-post Wedding Arbour at Glen Ewin Estate. 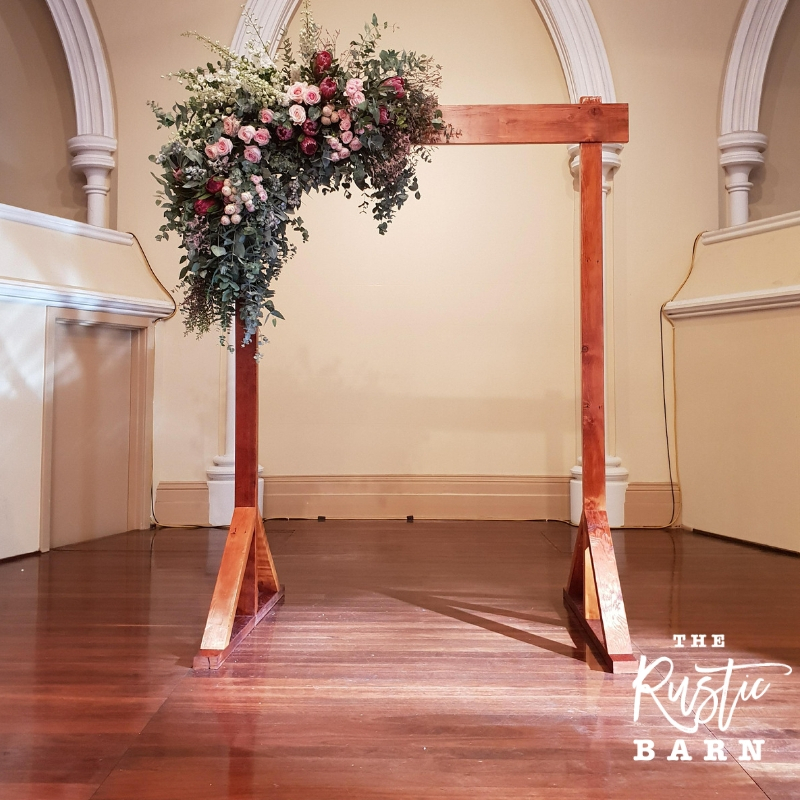 REAL WEDDING - The Rustic Barn two-post Wedding Arbour. Our favourite wedding arbour among romantic rolling hills, is of course Longview Vineyard. REAL WEDDING - The Rustic Barn two-post Wedding Arbour at Longview Vineyard. REAL WEDDING - The Rustic Barn four-post Wedding Arbour at Longview Vineyard. Our favourite garden arbour is Botanic Gardens, followed closely by the magical tree in Botanic Park. 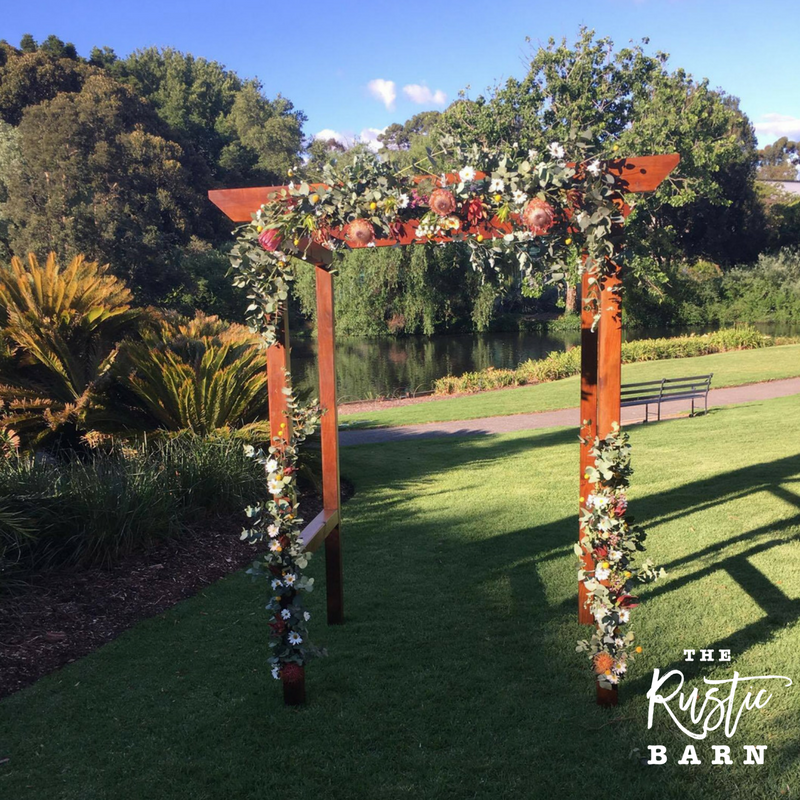 REAL WEDDING - The Rustic Barn four-post Wedding Arbour in Botanic Gardens. REAL WEDDING - The Rustic Barn four-post Wedding Arbour in Botanic Park. 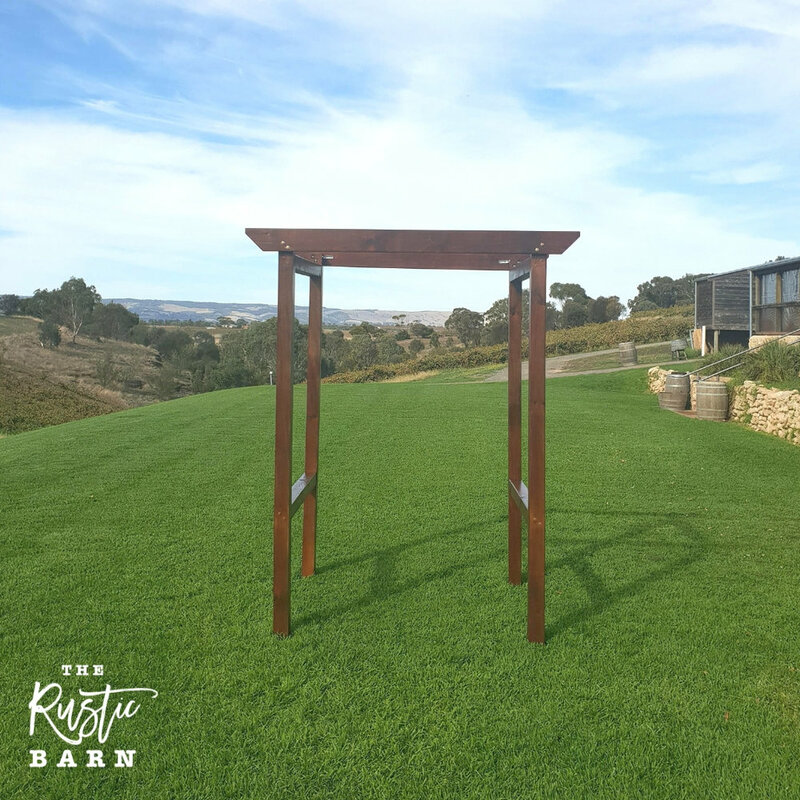 Our favourite arbour in a paddock is One Paddock Winery and our favourite arbour at a homestead is, of course, Kingsford Homestead. 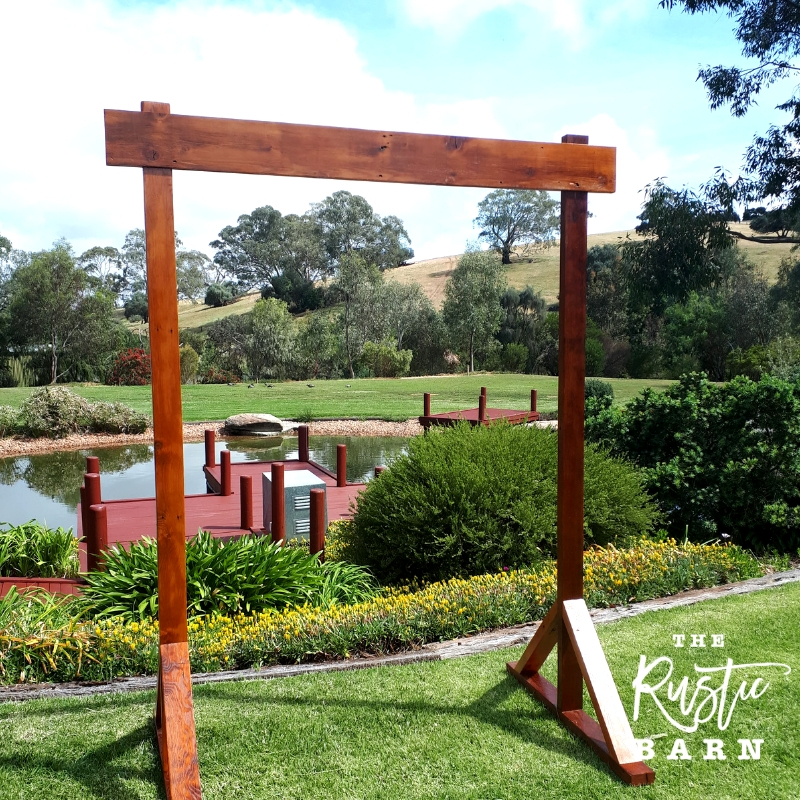 REAL WEDDING - The Rustic Barn four-post Wedding Arbour at Kingsford Homestead. Visit our Wedding Arbour page for more of our arbour gallery!